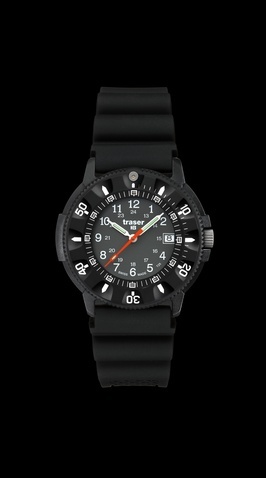 Traser H3 Watches Lady Police, carbon fiber case, diameter: 43 mm, 3 ATM water resistant, Illumination: Green/ Orange. A special watch for a special job. Concentrate on your duties, focus your attention on the situation. You can rely on the TRASER H3Lady POLICE to always have the correct time in any situation an in any light condition.